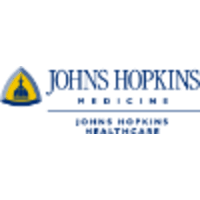 Johns Hopkins Hospital and its school of medicine are considered to be the founding institutions of modern American medicine and the birthplace of numerous famous medical traditions including rounds, residents and house staff. Many medical specialties were formed at the hospital including neurosurgery, by Dr. Harvey Cushing; cardiac surgery by Dr. Alfred Blalock and child psychiatry, by Dr. Leo Kanner. Provides leadership, direction and coordination to JHH Support Services, including material management, linen, transportation, mail room, print services, value analysis, towline management, and other support services. Reports directly to the EVP/COO of JHH, as well as to the JHHS Chief Supply Chain Officer (for materials management and supply chain), with a “dotted line” relationship to the VP Support Services at JHBMC, In consultation with these leaders, provides strong support of patient care services, including nursing, physician and other stakeholders in the hospital. Provides expert consultation to the EVP/COO of JHH, as well to the JHHS Chief Supply Chain Officer (CSCO), in the development of operational support services which support business goals and objectives. Collaborates with the EVP/COO of JHH and the JHHS CSCO in the annual and long-term business planning process for the service areas. Directs subordinate Directors and Managers in efforts to ensure the cost-effective and efficient delivery of ancillary operational services which contribute to patient and staff satisfaction and retention. Works on the implementation of policies and procedures that impact the quality and accessibility of services related to support services. Identifies and recommends strategies and best practices to reduce costs and improve service delivery. Assures short and long range financial goals are met by managing and controlling the budget for assigned departments. Works to ensure that policies and procedures for obtaining goods and services are adhered to. Ensures compliance with administrative, legal and regulatory requirements of governmental and accrediting agencies. Develops, coaches and manages a staff dedicated to providing expertise and a high level of customer service. Consistently supports compliance and maintains confidentiality, protects the assets of the organization, acts with ethics and integrity, reports non-compliance, and adheres to applicable Federal and State laws and regulations, accreditation and licensure requirements, and JHM policies and procedures. Accountable for consistently demonstrating the knowledge, skills, abilities, and behaviors necessary to provide superior and culturally sensitive service to each other, to our patients, and to purchasers, contracted providers and vendors. Additionally, the Senior Director is responsible for hiring decisions, performance evaluations and salary actions. The Senior Director works collaboratively with other JHHS/JHH Vice Presidents to fulfill his/her responsibilities. When invited or selected, the Senior Director may serve on management and/or governing boards within the Johns Hopkins Health System, SOM, JHU, etc., and will be responsible to the appropriate chairperson. Master's degree in business or health care administration required. 5 – 10 years of related experience in hospital operations. Work requires a comprehensive understanding of all procedures, systems and services within the Functional Unit’s diverse operating components. Knowledge of project management and performance improvement methods is required. Ability to analyze performance data for the functional unit and make sound recommendations to the senior leadership. Ability to manage diverse groups of people and operations to achieve departmental objectives. Strong problem-solving skills, and ability to facilitate diverse groups of staff to identify, analyze and solve problems. In addition, analytical ability required to assist in development of objectives, policies and procedures. Highly developed interpersonal and communication skills are required to effectively communicate on a frequent basis with divisional, departmental and interdepartmental administrative staff, employees and physicians to exchange information, resolve problems and coordinate services.